Persons above the age of 25 are eligible to join in this club as a Life Member. The application in the prescribed form with the recommendation of two Life Members are screened by the executive committee and then submitted to the general body for approval. 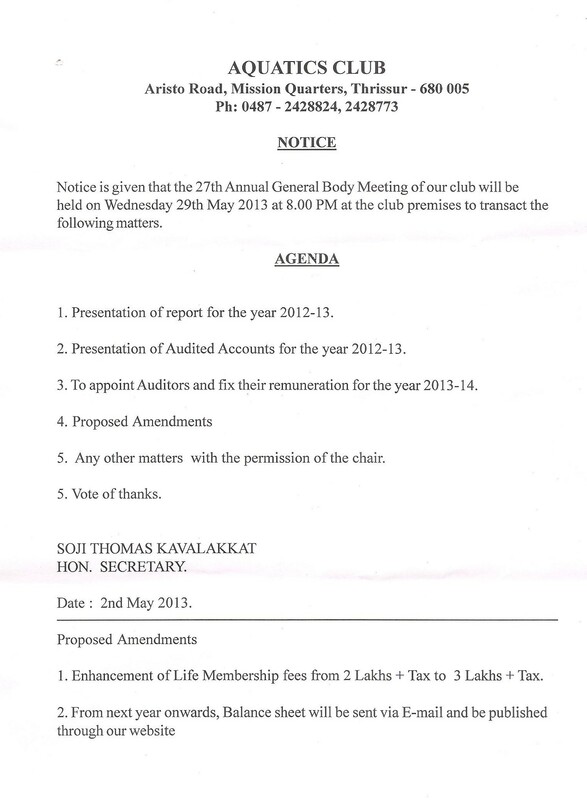 The Club charges at present a one-time non-refundable amount of Rs. 3,00,000 + Service Tax applicable (Effective from 1/8/2013) as admission fee. There is no monthly subscription fee for the Life Members. A non-refundable amount of Rs. 6 Lakhs is charged for the admission of an Institution as a member. Three executives of that institution are allowed to enjoy the facilities of the club but they shall not have voting power nor shall attend any business meeting of the club. When a member expires, his/her spouse is admitted as a Spouse Member on his/her written application to the Secretary. Such a member also shall have no voting power. 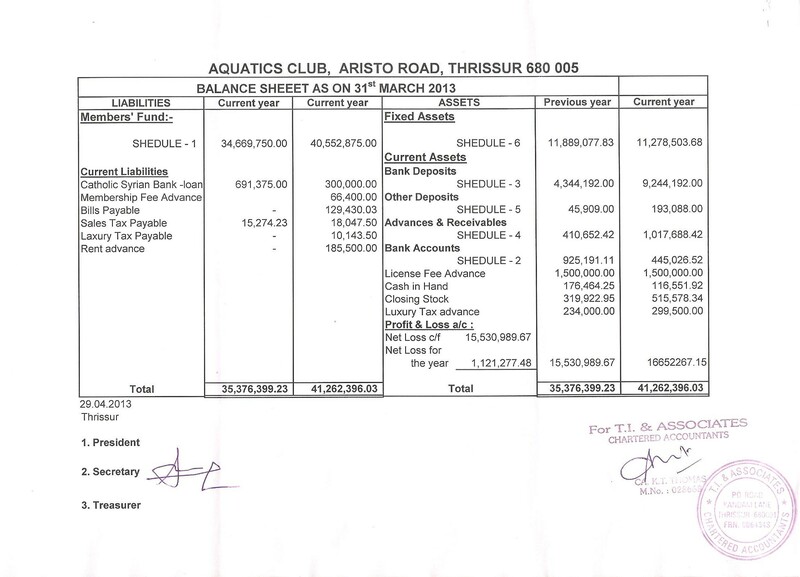 Balance Sheet as on 31th March 2013. Please update your address and photos by collecting the directory form format from our office desk. Copyright © 2012, Aquatics Club. All rights reserved.